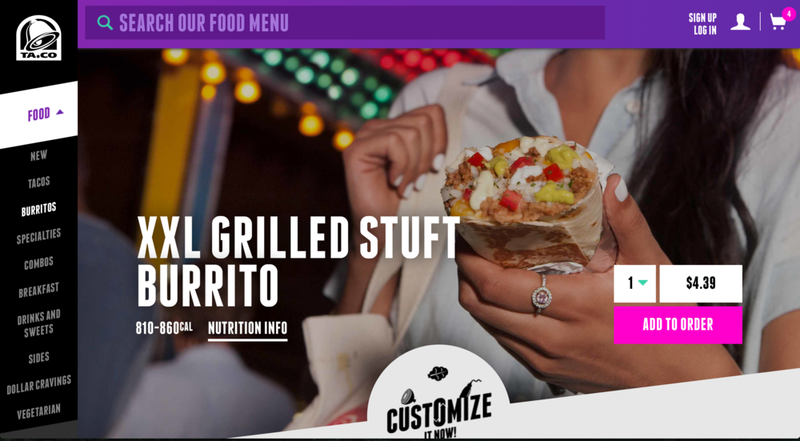 At Deutsch, after establishing a great track record of campaign work with Taco Bell, we were given the opportunity to redesign tacobell.com, and to make it into an e-commerce site. 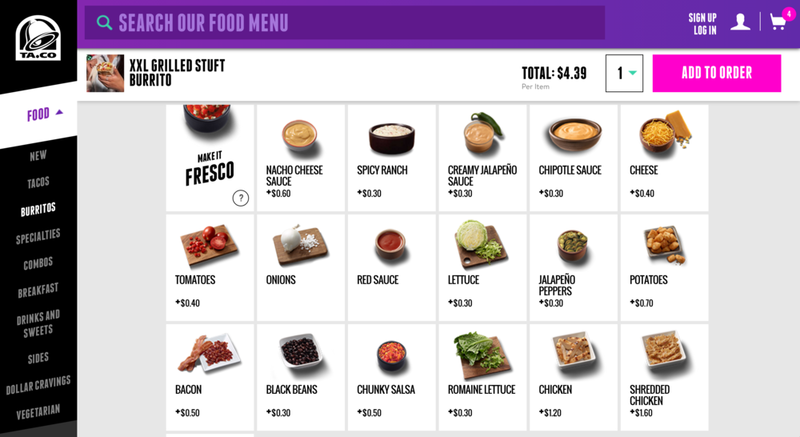 You can now order your Taco Bell for pickup with a few clicks that work across the desktop and mobile web, synch with the Taco Bell App, and use email and text preferences to get your customized meal into your hands quickly, without an app download or new behavior to learn. 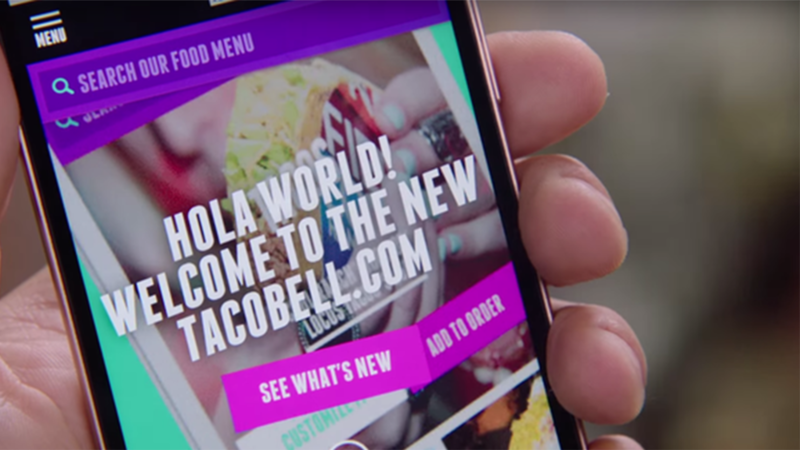 I led the UX design of the shopping, checkout, and pickup experiences.